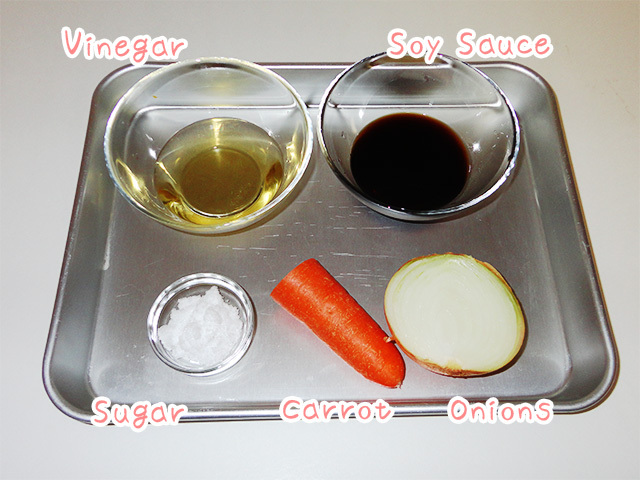 Low calorie oil free salad dressing recipes straight that make it feel like you are eating out at a Japanese restaurant that you can make at home. 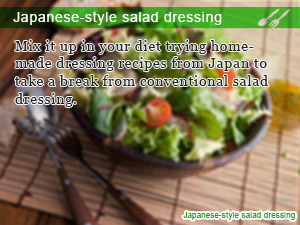 Most people think that dressing is something you have to buy at the store to avoid the hassle it is to make it at home. 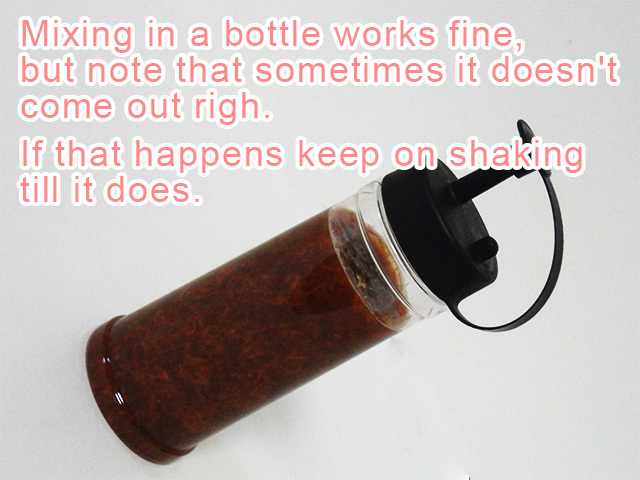 Have ever made homemade salad dressing before? 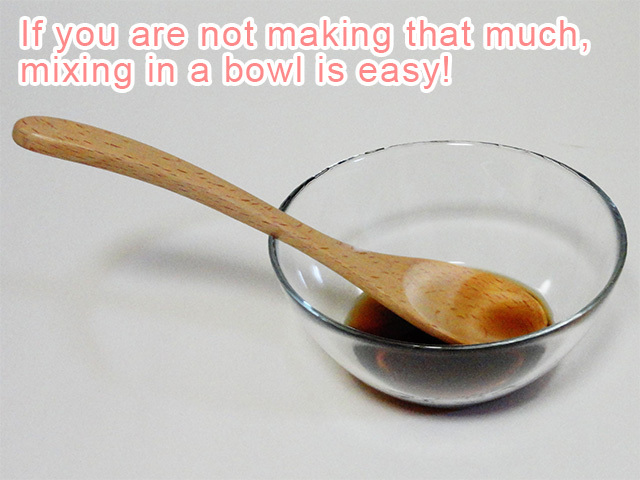 In fact making homemade dressing is easythat you think. Not only does it end up saving you time and money, making dressing from scratch leaves you with a sense of security knowing exactly what you are putting in your salad. The salad dressing recipes that we will be introducing in this Slism is not just any salad easy to make time saving salad dressing, its low-calorie oil free salad dressing that makes a big difference especial when you are thinking about going on a diet. Oil based salad dressing that can be bought at your local grocery store are said to contain as much as 80 calories per 15 gram serving. That combined with 1 bulb of lettuce (roughly 490g) that is said to contain around 59 calories and before you know it you are already thinking about you really need dressing for your salad. Oil based salad dressing combined with all the fixes you are going to put in your salad have a potential to turn into a high calorie snack. Here are the no-oil salad dressing recipes won't make you think twice about how much calories are in your salad and made an excellent addition to your calorie cutting portfolio something every diet knows is the true stable to losing weight and keeping it off. This recipe uses peeled onions and carrots that allow you to flavor you dressing while adding more vegetable to your salad at the same time. For people who are not used to eating onions, leave it out over night to reduce the spice making it easier to eat. 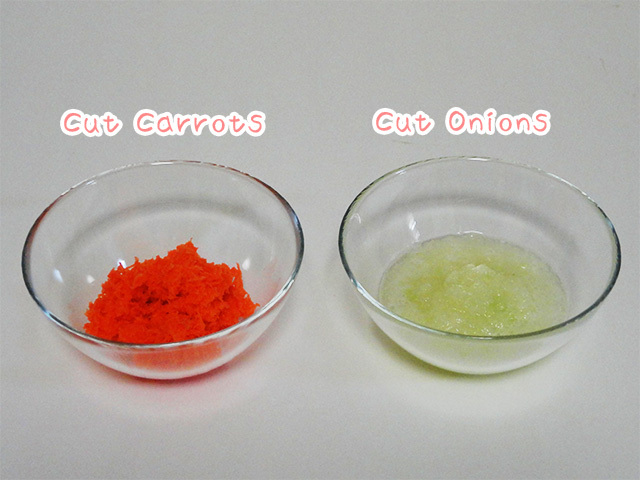 Cut the carrots and onions into small sizes suitable for suing in salad dressing and place in separate bowls as shown below. Take the contents produced in step one and mix well with other ingredients and what you get is a complete cup of low-cal onion salad dressing made with love ready to be poured over your salad. 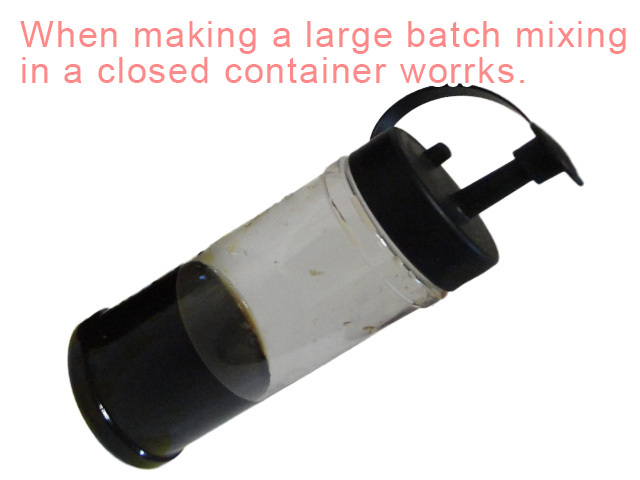 * Mirin is sweet cooking rice wine. The stakes are up. Now that you are ready eating more 30 more calories per meal it may seem high calorie, but it is not. Compared to oil based salad containing more than 80 calories per serving, there is still no need to worry that this salad dressing is going to make you fat. 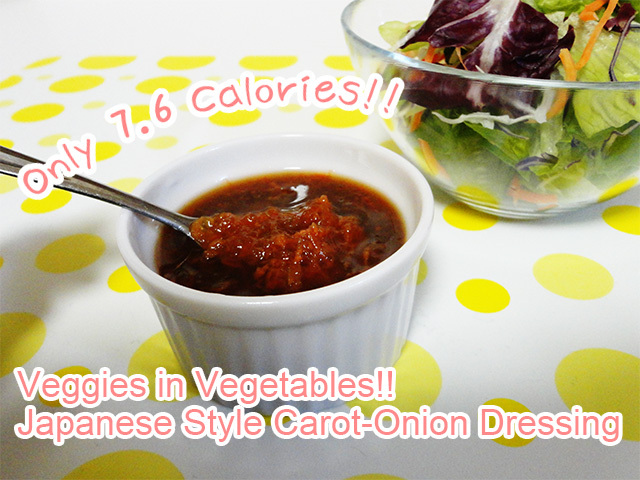 However, when compared to other Japanese-style salad dressing previously introduce 30 calories seems like a lot. 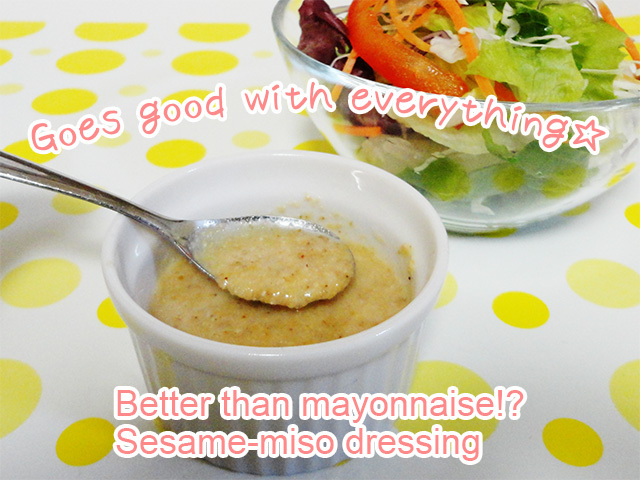 Don't worry you are safe not to mention the how many dieters just love sesame dressing in their salad. This recipe can be poured over steamed vegetables and meat and still taste great. It is also said to be good with seafood and stir-fry. 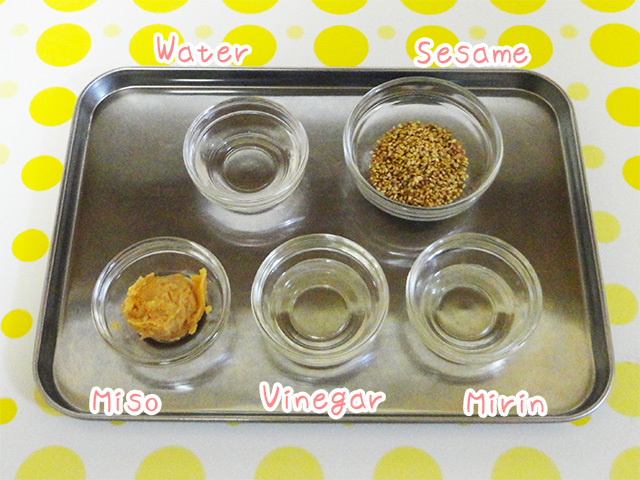 * Miso is fermented soybean paste. Mix all the ingredients excluding sesame seeds together until the miso is mixed in well. Add the contents of step 1 into step 2 and mix thoroughly. Japanese food recipes for beginners in low calorie cooking for quick meal ideas at home and on the go. Chicken Soboro and shirataki recipes for ramen and yakisoba. Japanese marinade recipe using rice malt to make Shio-koji diet friendly seasoning to tenderize those meats including how to tenderize chicken breast softly. Looking for recipes? Japanese fried yakisoba noodles are awesome, but everyone knows how much calories you have to burn afterwards. Wouldn’t it be nice if you could cut those calories in half, still being able to get you filing of yakisoba without being bombarded with calories? You can now with Shirataki noodles. Here they are. Enjoy eating midnight snacks, but don’t like to think that it’s making your diet menu slip away. Making healthy choices would be easier only if you had a diet menu. Here it is, complete with Miso soup. 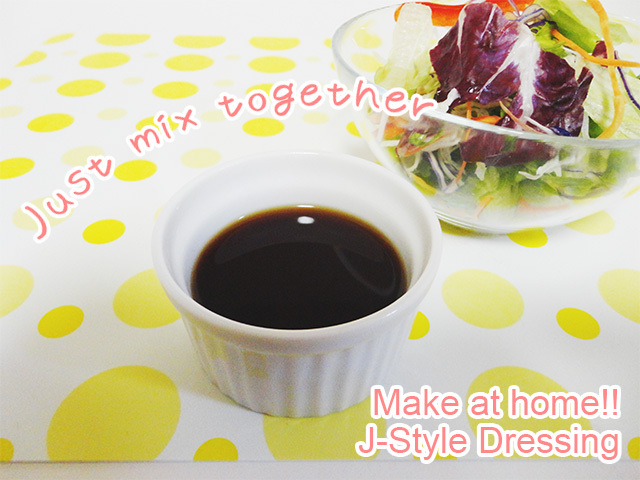 Mix it up in your diet trying homemade dressing recipes from Japan to take a break from conventional salad dressing. 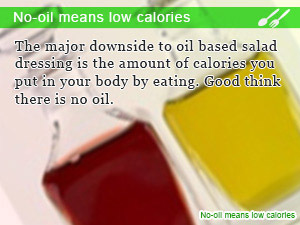 The major downside to oil based salad dressing is the amount of calories you put in your body by eating. Good think there is no oil. 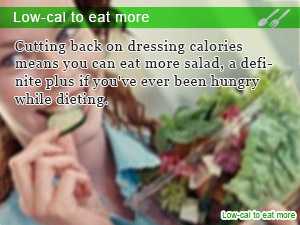 Cutting back on dressing calories means you can eat more salad, a definite plus if you've ever been hungry while dieting.